Great, now I want a full-length drama with these three as leads. KBS is producing a drama special called If We Were a Season, and it’s been confirmed that Jinyoung (Moonlight Drawn By Clouds) and Jang Dong-yoon (Solomon’s Perjury) have signed on to star opposite Chae Soo-bin (Rebel: Thief Who Stole the People), who confirmed her role back in April. This will be Jinyoung’s first acting role since his turn as Kim Yoon-sung in Moonlight last year, and I’m not sure whether to laugh or cry that his character in If We Were a Season is also one with a one-sided crush, this time on Chae Soo-bin’s character. The show is described as a youth melo, so I suspect that Jang Dong-yoon’s character, described as fresh and bright, will be the third leg in a love triangle among the three leads, which, if so, is guaranteed to break my heart. Maybe it’s a good thing this isn’t a full-length drama, ‘cause fewer episodes mean less pain, right? I don’t usually tune into drama specials but I’m looking forward to this one because it’s one big Moonlight reunion: If We Were a Season will be helmed by PD Kang Soo-yeon and written by Im Ye-jin, who were both junior members of the PD and writing teams in Moonlight Drawn By Clouds. I’m also looking forward to seeing Jang Dong-yoon, though I was a bit surprised to hear of his participation since his next project School 2017 is due to start airing in July. This might mean he’ll be double booked for a short while, since script reads for If We Were a Season have already been held and they’re supposed to start shoots very soon. There’s no word on when If We Were a Season will air, but it looks like KBS aired their 2016 drama specials between September and November of last year, so we can probably expect it to release sometime this fall or early winter. Aww, I really liked the both of them in what I saw of Moonlight, even more than the leads and I thought they had a really awesome chemistry. I wished they had a love line then and I wish they had one now. Rise Chae Soo Bin rise! It's a good thing seeing fresh faces in new dramas. I agree! Go Chae soo bin Go!! She's literally everywhere. And she's been so good. The couple never made it in moonlight now make it here. Yes. It likes moonlight sequel or something. I would definitely watching. Chae Soo Bin is so busy this year. Ahh, I kinda shipped Soobin and Jinyoung's characters in Moonlight, even with their minimal interactions. Glad to see them work together for the 2nd time. Also, go get those lead roles, Jang Dongyoon! YAY!!!! I low-key shipped them in Moonlight and (vaguely) hoped they would console each other in the end after not getting their first loves. I'll think of this as a reincarnation epilogue. Hopefully, Yoon-sung Naeuri's ending is happier this time. Yes to Chae Soo Bin and Jinyoung!! I love this pairing since Moonlight. I thought they will be a couple there when they didn't get their first loves. I hope they will be with this one! Waaaah!! When is this?! Love this.. There's Jinyoung and Soobin!! They are cute. Im in! Super excited to see these two reunite! These precious cuties. Yes. With the cast, I'm in. Readying my heart for a heartbreak. 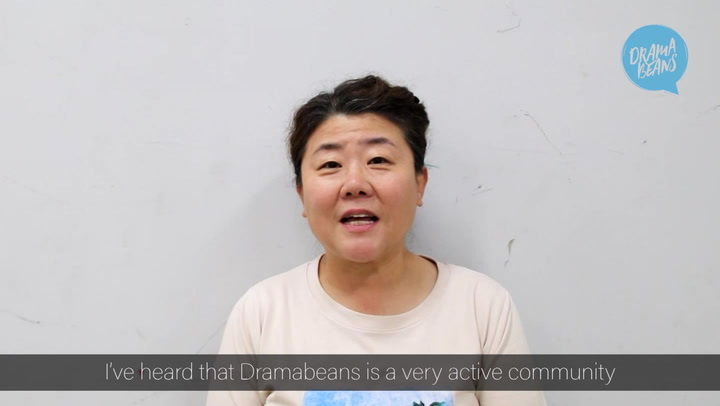 Nice catch, dramaland! Nice catch. Jang Dong Yoon! I'm so excited to see him in another project and I will definetly check this one out, even though I don't like Chae Soo Bin and tend to avoid her dramas. I'm glad Jang Dong yoon is getting more exposure. He was awesome in Solomon's Perjury and I can't wait to see him in School 2017.
where I can watch this drama? Jang dong yoon! Really like him in school 2017 ? so he will be the third wheel here?alaaaa its okay..looking forward for your new project dongyoonieee ???? Depending on where you are and how much Korean you can understand, you can try streaming from KBS2TV's site this Sunday KST 10.40pm (myk.kbs.co.kr/live/tv/12). If you need subs, you're going to have to check the airing date and try streaming from KBSWorld's YouTube live stream, or tune in if it's available on your TV. KBSWorld eventually uploads their drama specials to YouTube, but they take a long time.